Communication is important in the sector of commerce and trade. However it is essentially organized communication that proves to be all the more effective for business houses. 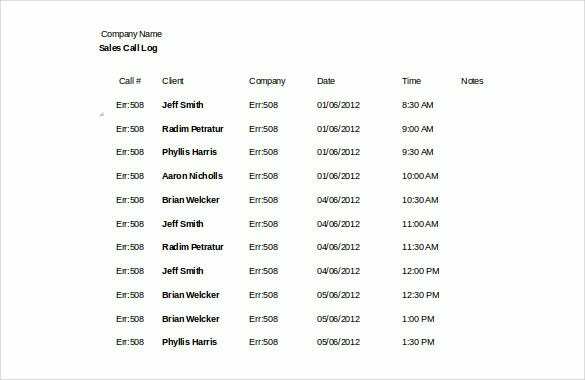 A good call log not just helps a company to have all the details of its esteemed clients at its fingertips but also comes handy at the time of making regular client calls or follow up for paymen. Even the teams handling sales and collection have an idea about which client has been knocked and at what date. A regular interval can be maintained while calling each of the clients. 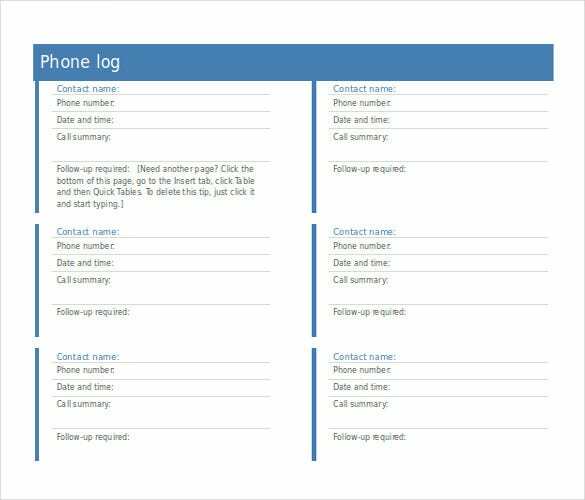 The call log templates will provide you with a structure or a format that will help you create an effective call log document. 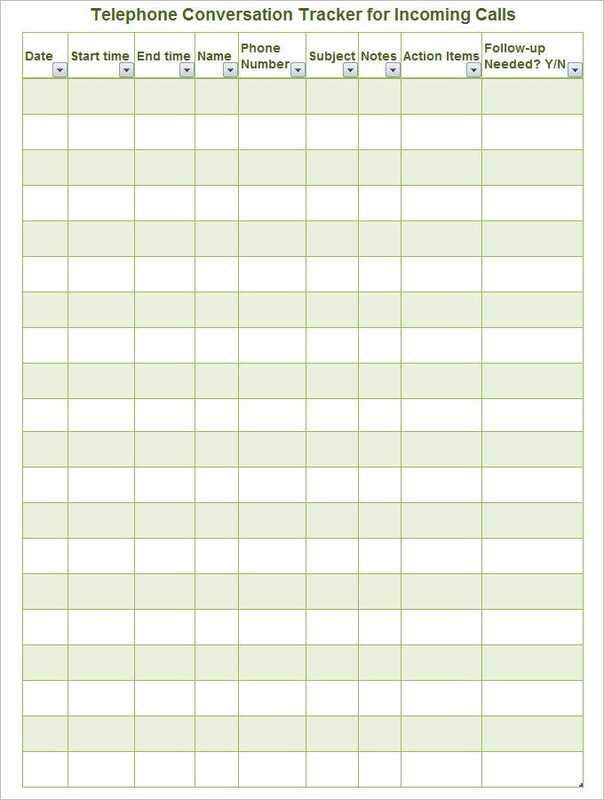 You can also visit Overtime Sheet Templates. A call log helps a business to stay a bit more organized. 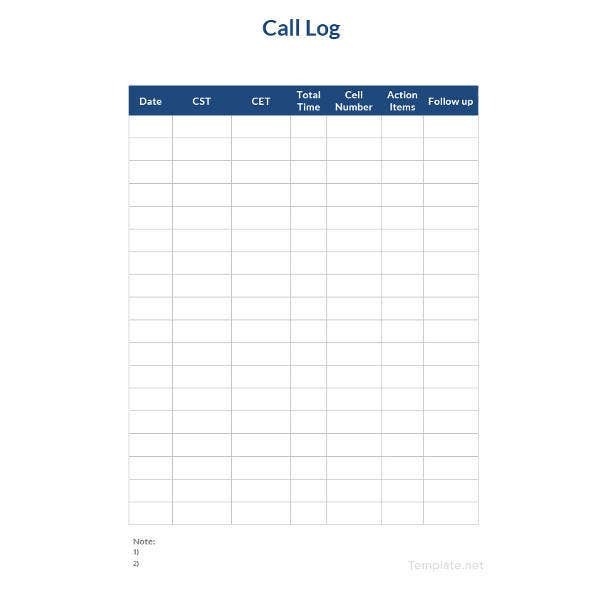 Instead of making calls at random, the call log can help the business know who to call, when to call and the reason for calling, making the business stay more organized as well as focused.Free Call log template are the best tools your business should Use to Create Sample Call Logs. The templates are pre made, eliminating the need to create a layout from the ground up. 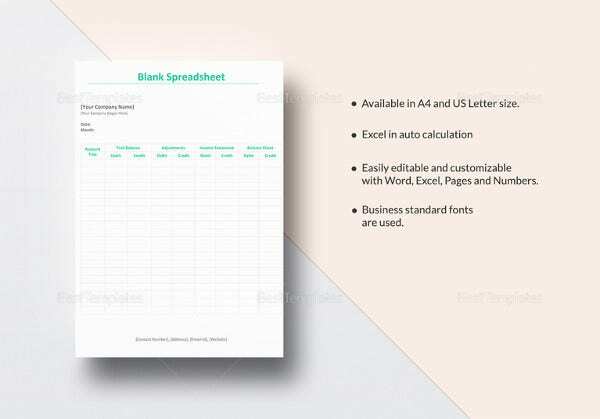 The Sheet Template provides you enough space to include the name of the customer to call Sheet Templates, when to call them and the reason to make the Call Tracking. 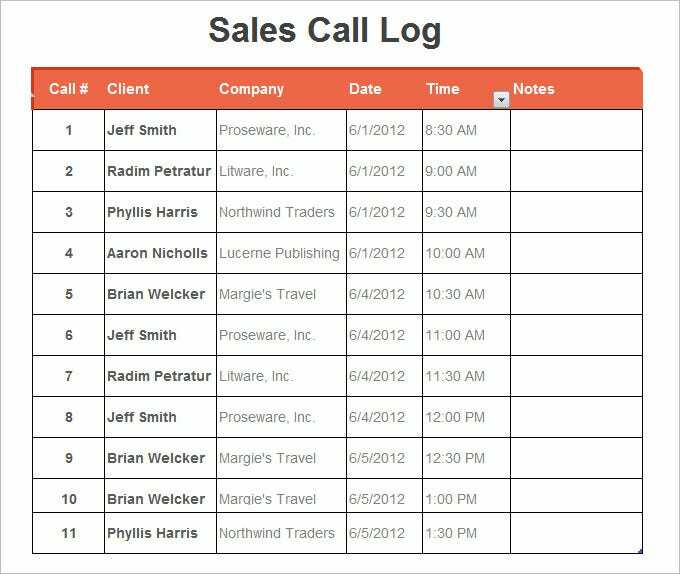 Sample Call log template helps to ensure that you get back to all your clients without leaving anyone out. 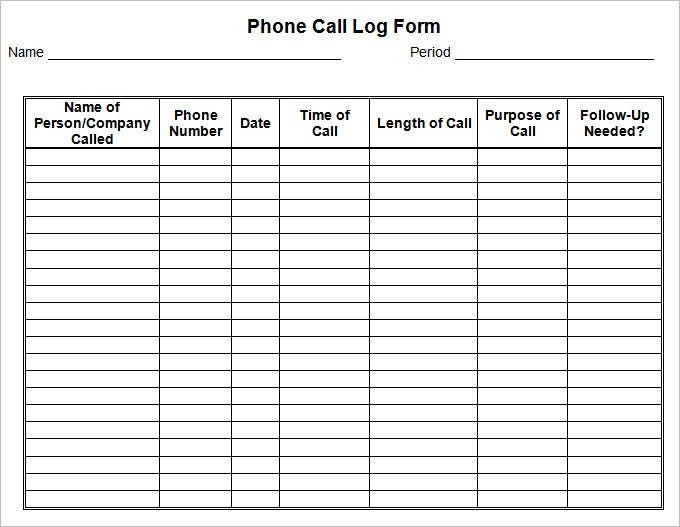 What is Call Log Template? 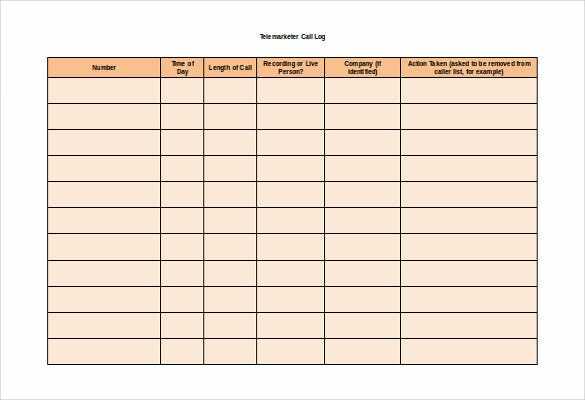 A call log template is a document that is created so that a tracker is created that will contain not just the contact list of the organization but also a detail of the kind of interaction that is being maintained with them and with what result. This also gives an idea on the kind of follow up that is required. You may also see Editable Call Log Templates. 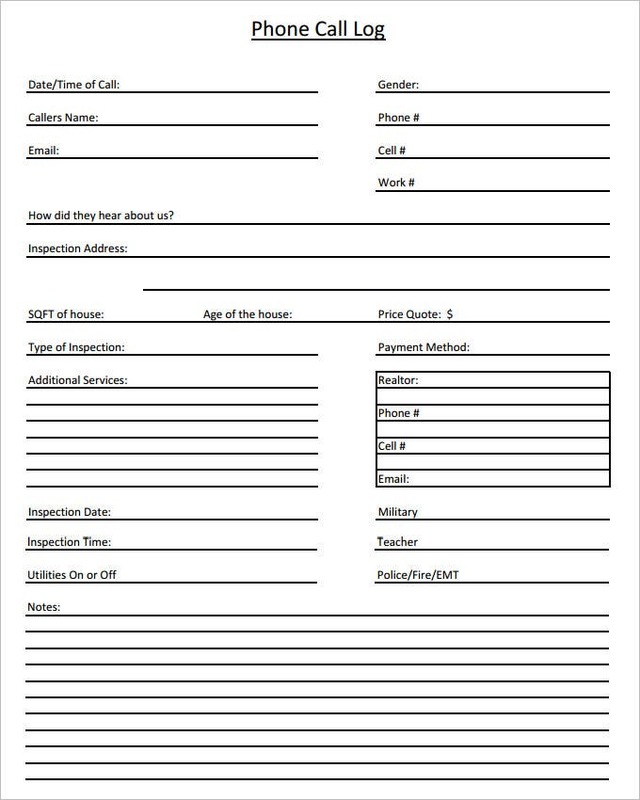 These types of template designs that can be downloaded for free by any school or other institution that has to handle kids. These templates are easily available and they come in a word doc format. These templates will have all the required details for an institution and the formats are very neat and tidy. The look is though simplistic yet is very effective as the entire template has been divided into a table. 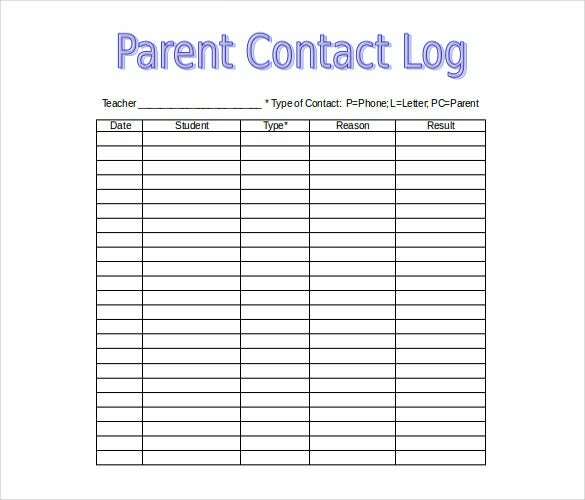 The columns of the table can support the information of the name of the student, the date on which their parents are to be called, type of contact, the reason why the parents are being called and the effect of the meeting. You may also see Editable Customer Log Templates. 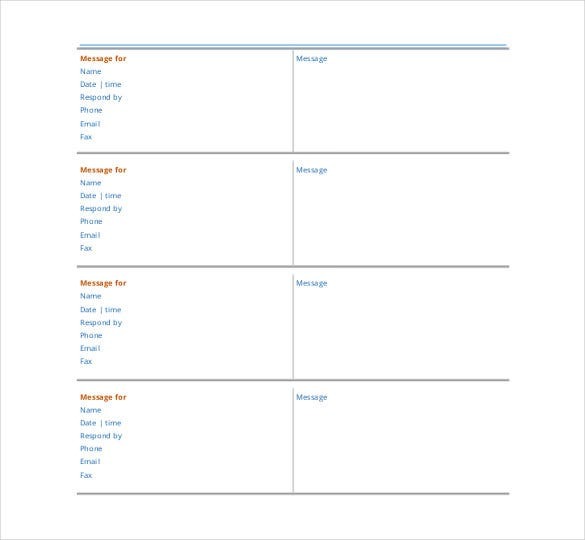 These are call log template designs that stick to the basic. The layout is in the form of a table. 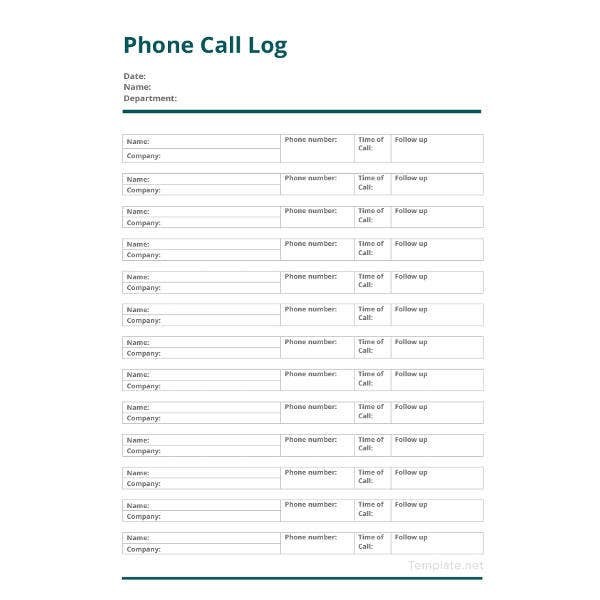 The columns support the information of the name and number of the contact and also the time and length of the call made along with a section of follow-up required. These templates have a systematic look and have hundred percent responsive features. You may also see Action Log Templates. Designed in details, these are documents that can be maintained by any company not just as a contact list for the clients but also at the same time as a record of the nature of interaction that has been ongoing with the client. There is also a follow-up column that decides on the further course of action that is to be taken up in the case of each of the client. The pattern of the templates is organized and well structured. The templates are hundred percent editable so the user can make changes at any point. 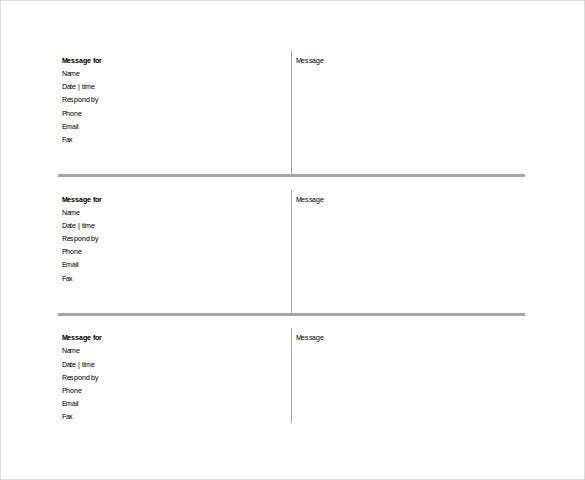 You may also see Word Log Templates Free Download. 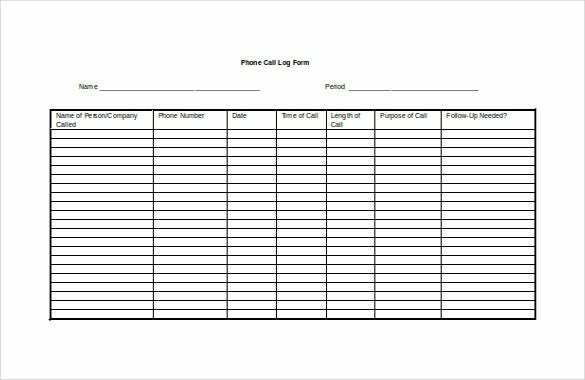 How is a Call Log Template Created? One of the first things to remember at the time of creating a call log template is that it has to be simple and minimalistic. The information has to be required ones. The resolution range has to be good and the table has to be spaced out to avoid cramming of information. 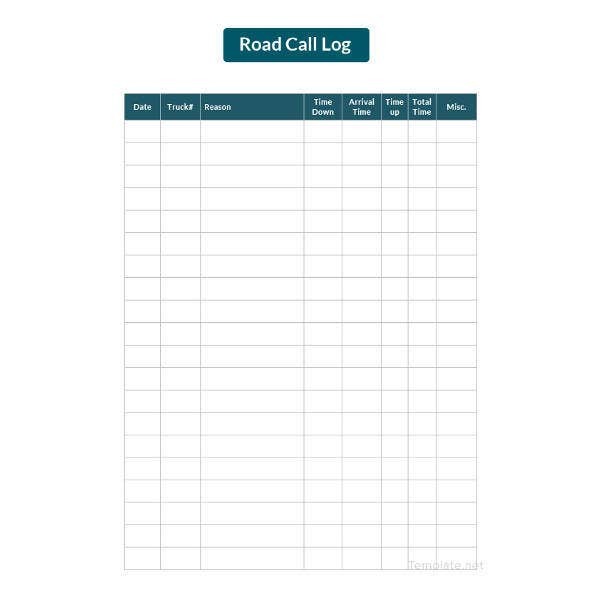 You may also see Mileage Log Templates. A call log template helps to systematize the business process and is the best way to support your business process and to see to the fact that all the clients get an equal treatment. Perfect for all types of use, these kind of templates can be used by schools, colleges and professional corporate offices. The formats are smart and neat. 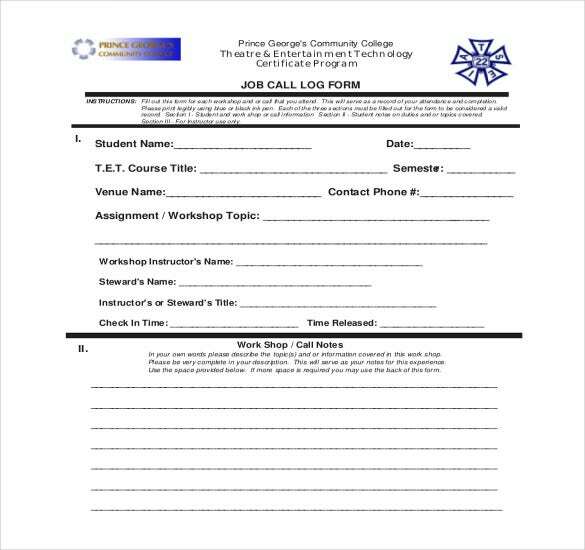 You may also check out here Learning Log Templates.